As a child, do you remember being excited by the possibilities of a large box? 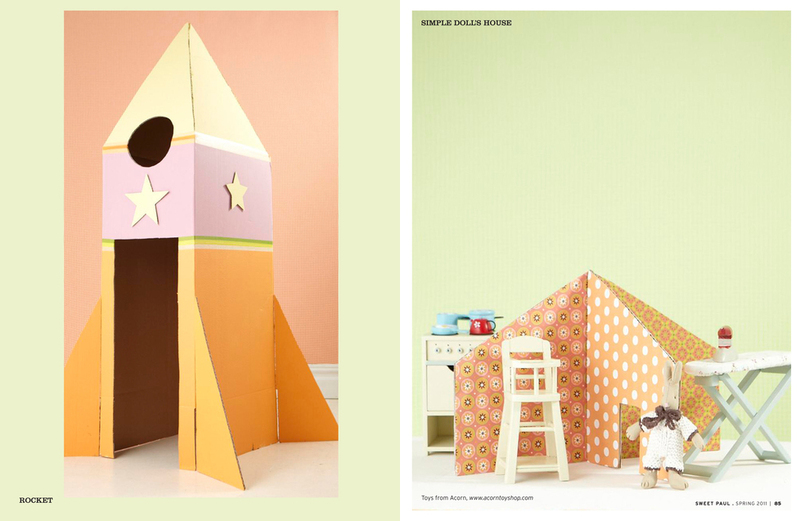 I'm talking about plain ol' cardboard boxes that appliances or packages come in -- the kind that kids are easily entertained by when their imaginations run wild. I remember building forts with boxes, or hiding my brother's toys inside them (sneaky sister!) 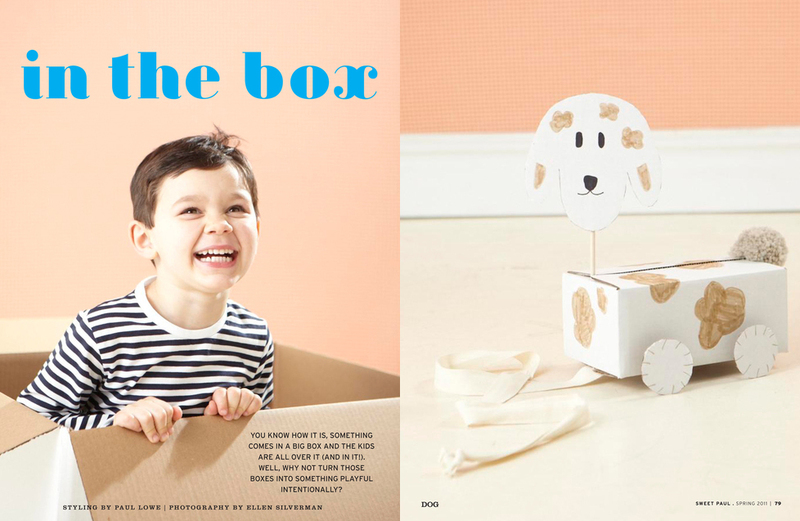 The newest issue of Sweet Paul magazine will have you reliving your childhood with their article, "In the Box". The article is full of great ideas for turning ordinary boxes into extraordinary play pieces. So, gather your kids, grab a box and put your imagination to work!